Please read our installation documentation below, but if you do have any problems then please contact us direct. Installation is simple, you need to register first for your account and then follow the following steps or refer to the documentation within the package. Once you have successfully registered and activated your account using the link sent to your email, you can log in and configure your environment. Create Property Codes - (Add property codes to your account. The names of the property codes can be any alpha-numeric word). Now you can begin to add the widgets to your website. 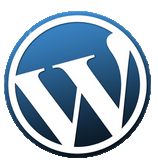 choose the Wordpress -> Plugins -> Add New -> Upload and browse to the wp-booking-wizard zip file. Frame borders : Yes (for debug). where: propertycode has been defined by you in your Calendar administration centre. Save the text and now access the page/post from the main website. Your widgets should appear in your content.